Penn State head football coach Bill O'Brien. Photo by Dave Cole, Onward State. A head football coach testing the NFL waters, wielding power and influence in the athletic department, and serving as the face of The Pennsylvania State University? Bill O’Brien meet Joe Paterno. Just like Paterno early in his own head coaching career, O'Brien has a burning interest in being even bigger on the biggest football stage of them all, the NFL. And in terms of accumulating and using power, Penn State’s last two head coaches, interestingly both from Ivy League Brown, were and have been very astute. Paterno became head coach in 1966, when he was 39, after 16 years a Penn State assistant coach. His apex might have been from 1980-1986, when he won two national championships, served two years as athletic director and dressed down the Board of Trustees in January 1983, chastising them and essentially saying he wanted a university his football team could be proud of. In his book, “The Coach From Byzantium,” Paterno’s brother George called his older sibling byzantine with some Machiavellian tendencies. And this was from Joe Paterno’s best friend. No one right now is saying that about O’Brien, who at age 42 took the Penn State job and led the Nittany Lions to an 8-4 record then won two national coach of the year awards. But he has rapidly developed a power base with allies at the highest reaches, even if that is not his primary goal. If he did bring Penn State president Dr. Rod Erickson into his conversations last week, it was a savvy move by a coach who spent the last five years learning at the arm of organizational mastermind Bill Belichick. Like Paterno, O’Brien has wielded great power behind the scenes, deeply connecting with several of Penn State’s head coaches of other sports, in part during the Coaches Caravan in May. He's also connected with the Football Letterman's Club. O’Brien has stood up for several of his colleagues (as well his direct reports) behind closed doors, and has forged alliances at many levels as he cleaned house in Lasch Building and reconstructed a program that was passively, albeit mostly successfully, maintaining the status quo. While the other HC’s and acting athletic director Dave Joyner play key roles, the undisputed leader of the athletic department is O’Brien. So was Paterno for many years, and 15 years into his head coaching career Paterno did something about it. He was tired of bringing back the big bowl game checks when Penn State was an independent and not having a say in how the money was spent. Paterno, using his close ties with Oswald, orchestrated significant and far-reaching structural changes in Penn State’s athletics and academics. On Jan. 14, 1980, Oswald announced that Paterno would replace Ed Czekaj as athletic director, effective March 1. (Paterno, meanwhile, was recruiting in New Jersey, and was not available for comments.) Czekaj told The Daily Collegian he learned of the move from Oswald two days before it was announced. In addition, intercollegiate athletics was moved out of the College of Health, Physical Education and Recreation, run by dean Robert Scannell and precursor to today’s College of Health & Human Development. And under the reorganization, Paterno as A.D. would report directly to Bob Patterson, the senior vice president for finance and operations, whose office was in Old Main. Czekaj as A.D. had reported to Scannell. Now, Paterno only reported to Scannell on academics. Previously, Paterno the head football coach reported to the athletic director, who reported to the dean, who reported to Old Main. With the changes, Paterno the head coach reported to Paterno the athletic director who reported to Old Main. Two layers – gone, just like that. Paterno was A.D. for exactly two years, then turned over the job to his most trusted friend, Jim Tarman. Paterno’s ambition to be a head coach surfaced in a big way prior to the 1966 Penn State season, when he was still an assistant. Paterno, an Ivy guy, was offered the head coaching job at Yale. He told his boss, Rip Engle, about the situation and asked for advice. Engle went with him to Old Main to see the Penn State president, Dr. Eric Walker. 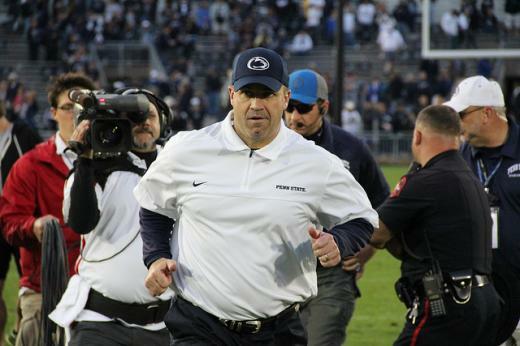 Paterno wanted guarantees that when Engle retired, then in his 15th year, he would get the job. “If you’re good enough,” Walker said, “you’ll get the job.” Paterno was promoted to associate head coach, Engle retired at the end of the season and Paterno became Penn State’s 14th head football coach. Four years later, after the 1968 season Paterno, then 42, met with Art Rooney Sr., who owned the Pittsburgh Steelers, about their head coach vacancy. But, eventually, Rooney hired Chuck Noll instead. Less than a year later, after a 1969 season when Penn State went 11-0 to finish No. 2 in the country and was riding a 30-game unbeaten streak, Paterno aggressively pursed the head coaching job at Green Bay – vacant after the retirement of legendary Vince Lombardi. (Click here for the complete story, from the Nov. 18, 2011, Green Bay Post Gazette.) Dan Devine, the longtime Missouri coach, was hired instead. Ironically, his squad had just lost to Penn State 10-3 in the Orange Bowl. In 1969 Paterno met with Michigan athletic director Don Canham about the Wolverines’ vacant football head coaching job. Paterno quickly pulled out of contention and recommended Miami (Ohio) coach Bo Schembechler, who got the job and had a Michigan career that included a share of 13 Big Ten titles and a 194-48-5 record. Which led Paterno, then 46, to that fateful night in 1972, when he went to bed having agreed to become the next head coach and general manager of the NFL’s New England Patriots. His multi-year contract was to be $1.4 million – with an annual salary of 10 times what he was making at Penn State – plus a small share of team ownership. Paterno woke up the next morning in his modest College Heights home, having changed his mind. He told his wife Sue, “I hope you enjoyed your night sleeping with a millionaire. That’s the last time you’ll do it.” Paterno eventually became one, anyway. You don’t need me to tell you that for almost a half-century, and increasingly so every year as time went by until November 2011, Paterno was an icon and the face of Penn State – moreso than the Nittany Lion, Old Main or Mount Nittany. O’Brien isn’t there yet. But he’s closer than anyone could have imagined the day he was hired. Even O’Brien himself. That image did take a ding when O’Brien talked to some NFL people last week. So says Steve Manuel, a Penn State senior lecturer whose expertise is public relations and crisis communications. As a photojournalist who has shot Penn State football for decades, he has had a front row seat of both Paterno and O’Brien. 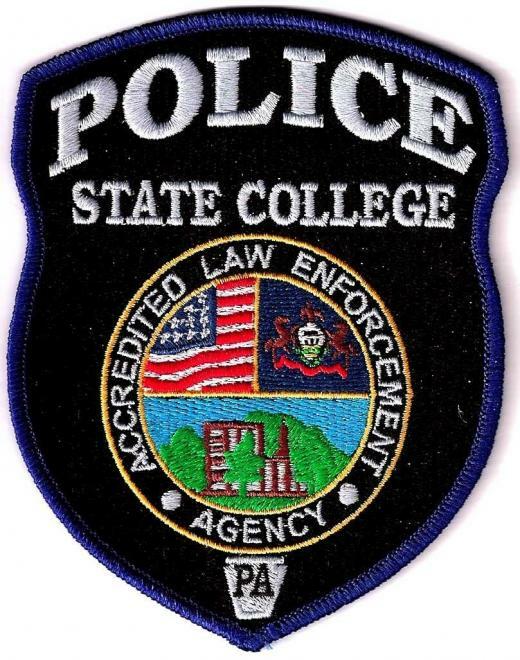 State College Police are investigating the details surrounding a single-bicycle accident on Tuesday morning that sent one man to the trauma center at Altoona Regional Health System, including whether or not alcohol was a factor.